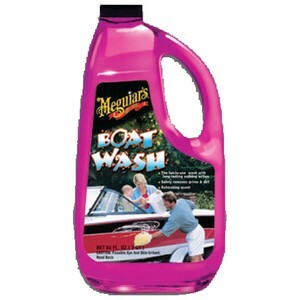 Meguiars Boat wash is formulated to produce a lot of sudsy bubbles to safely remove the dirt and grime from your boat. Biodegradable and even a nice aroma. What more do you need to clean your boat!